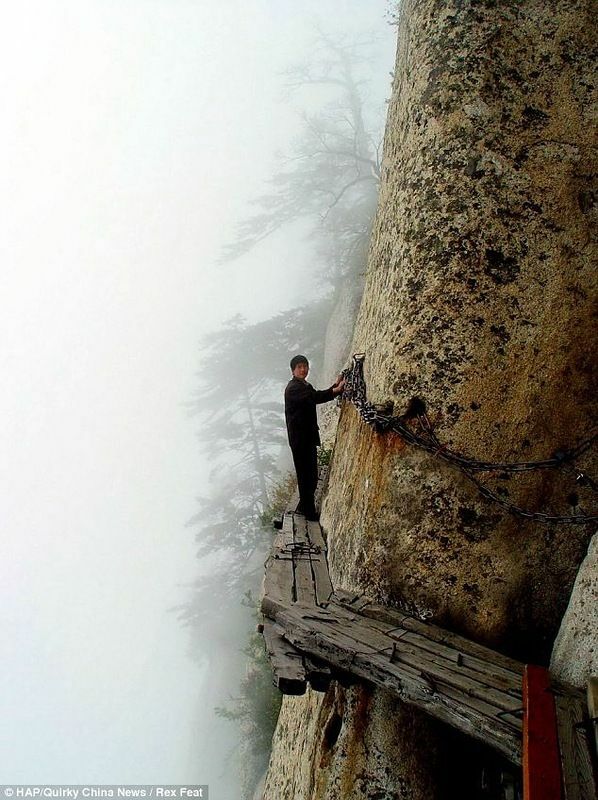 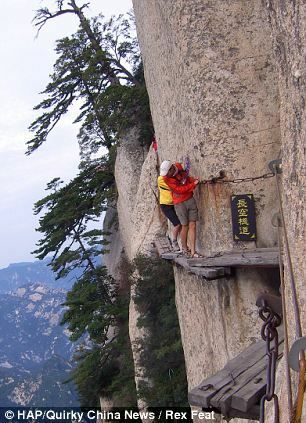 These photos show a dizzying tour navigating through extremely narrow and treacherous passage along the cliffs on the picturesque mountains in Shaanxi Province, China. 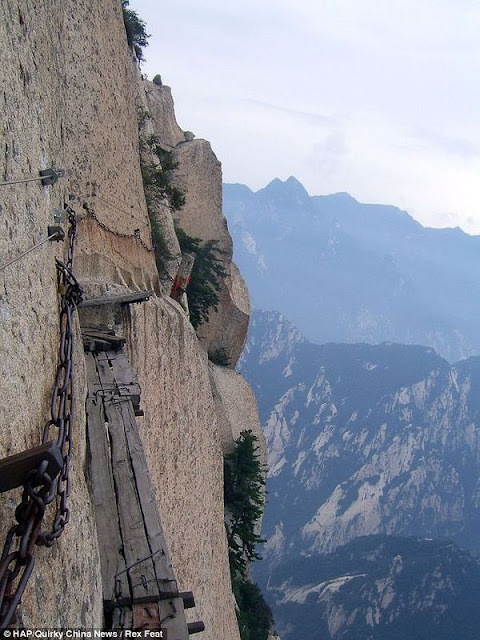 The pass was built over 700 years ago, a hermit who lived deep in the mountains. 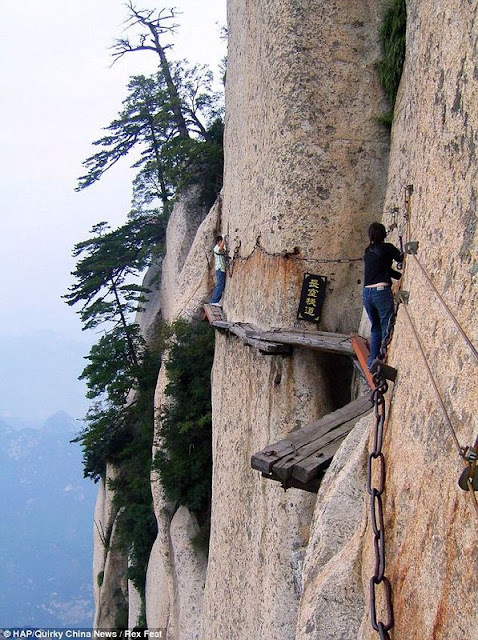 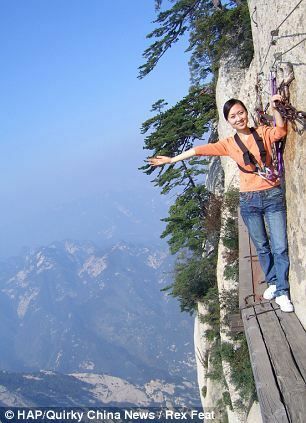 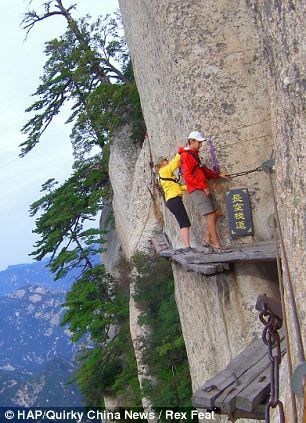 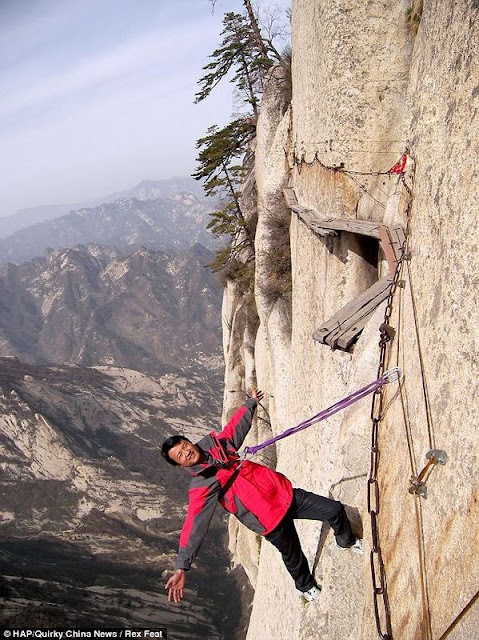 The passage has a width of only one foot feet and was built on a completely vertical cliff. 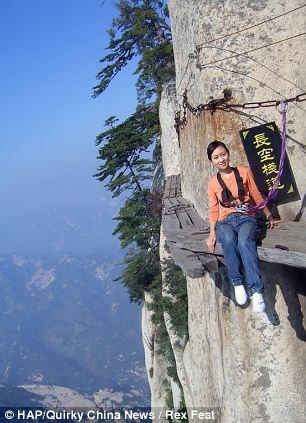 One misstep can lead to a fall from a height of several hundred meters. 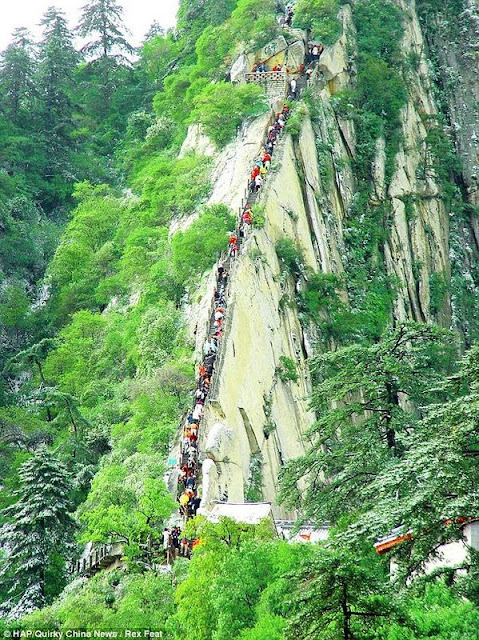 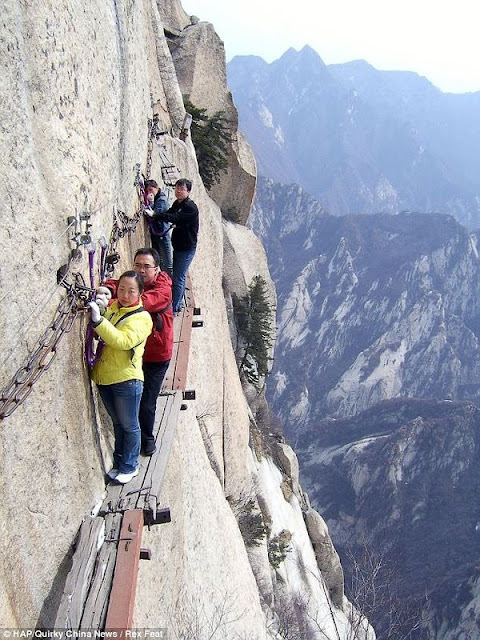 Tourists climb the stairs to the narrow bridge, conquering peaks, passing through the temples, shrines, pavilions, terraces, decorated with carvings and statues.Despite the security measures: the construction of stone steps and wider paths, deaths still occur on this pass.